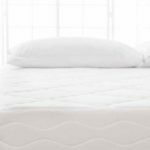 I wrote this Hamuq Mattress Review to help others make their decision in the online mattress marketplace. With so many options, isn’t it difficult to know the differences and choose? I particularly chose to write about Hamuq because they are different, and I see a lot of value in their mattress. See Disclaimer here. Hamuq’s idea to create a 12” pocket coil mattress that can be shipped directly to your front door in a box is truly amazing. New compression technology and mattress design allows for Hamuq to compress the pocket coil mattress and roll it tightly into a small and easily manageable box. Utilizing a coil system, the mattress can breath as airflow is able to pass underneath the mattress. Other online mattress companies ship you all foam mattresses, which don’t breathe, trapping all the heat inside of the mattress. 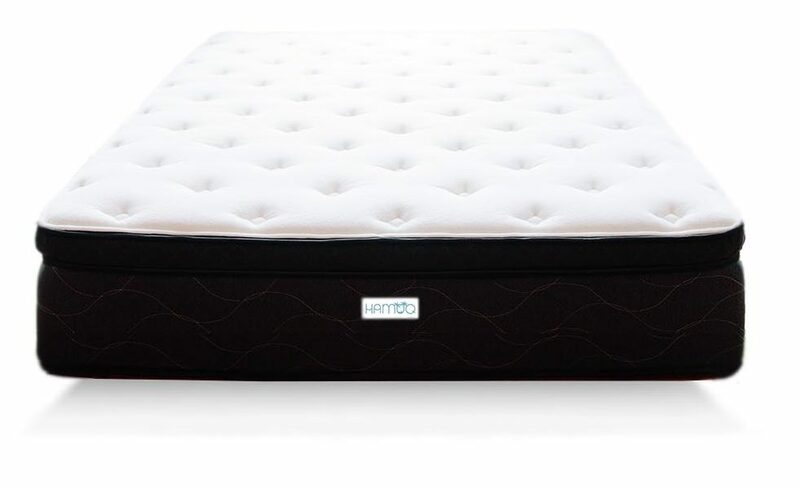 With other popular companies such as Casper and Endy offering 10” memory foam mattresses with foam bases, Hamuq has provided an option for people who enjoy the feeling of a heavy duty pocket coil mattress. There top layer is somewhat similar to these other mattresses, but they’ve added a more durable, more supportive base. It appears they’ve managed to cut quite a few of the costs out of traditional mattress purchasing, passing those savings along to you. Hamuq made a nifty little comparison chart showcasing similar mattresses. You can check it on their website. But basically a similar mattress with similar construction and materials will cost around $1700 to over $2000 in a store (I’ve confirmed the specs). A company like Marshalls, who has a long standing reputation in Canada, chargers upwards of $5299 for a similar mattress. However, almost every weekend they mark it down to $2299 (giving the perceived but misleading effect that they are a $5000 mattress on sale in the $2000’s. Wish I had that kind of marketing skills. Regardless, even at the 2299 price point, hamuq still has better specs. Personally I enjoyed my memory foam mattress that I used in the past but I found that I often felt hot in the middle of the night even with the cooling gel inside. After reading tons of mattress reviews, and with all the hype I’ve been hearing lately about Hamuq I suggest giving one a try. Being the first company to roll a coil mattress, i figure they know what they were doing. With the 101 night free trial, there really is no risk. Now, what’s in the mattress exactly? The Hamuq mattress first off of course has the pocket coil system inside which drastically reduces the motion transfer just like a memory foam mattress would. It is foam encased with strong bio foam around the edges to ensure good edge support all the way around the mattress (something that my memory foam mattress did not have). It then has a thin layer of the same bio foam on top of the pocket coils followed by 3lb vls gel memory foam, 2” of soft 2 lb bio foam, and a 1” high density foam quilting on top. This combination of foam layers creates a very comforting pillow top that compliments the stability of the pocket coils. In terms of firmness, it’s a middle of the scale mattress that I think most people would enjoy. Although I would consider the Hamuq to be on the soft side because of the pillow top, the pocket coils provide a very stable and somewhat firm base. It is like they say the support of a firm mattress with the comfort of a soft one. It makes sense right? Since writing this the first time around I’ve come to a few conclusions. First of all, this mattress is everything I assumed. I’ve reached out to customers, and the’re very happy with their purchase. A surprisingly low number of returns at only a 2-3%, which appears to be less than the common 5-10% return rates of other mattress companies. 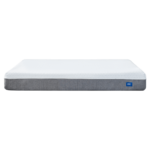 Many report it supports firm, but has a soft feel, which is what you want with a mattress. That’s what helps distribute the weight of your body more evenly. I’m a middle aged lady, can i carry it up to the second floor of my house? You could, but at 89 lbs for a queen i suggest getting someone to help you. 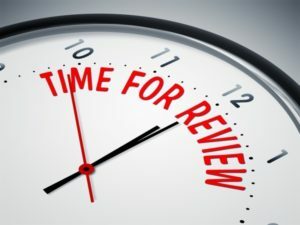 They say 2-6 business days, and after reading reviews it looks like its between that. Great mattress, great price, great service. I agree with this review. Just wanted to leave a comment to support. I had a memory foam mattress for about a year, then finally pulled the chute. I couldn’t handle it anymore. At first I liked it, but I realized all the negatives to it. I had paid quite a bit for it and it was hard for me to buy a new one so soon. But the heat, the sinking feeling and a few other things just didn’t satisfy my husband and I enough. I don’t want to bash any other companies, but I had bought that memory foam online (in a box). The process was great so I wasn’t going to go to a store. When Hamuq came along i jumped on the opportunity. It hit everything i was looking for. And i’m much happier in the mornings now. How soft is this mattress? I went mattress shopping the other day and a similar mattress in a showroom was indeed up around $2000. I think I will be purchasing a Hamuq this week to give it a try. You mean, $399 – $699 max!? Yes I do believe so. From what I gathered in my research, its not just a 12″ pocket coil mattress. There pocket coils are made with canadian steel. The foam densities range from 2-3lbs, and there is a layer of cooling gel memory foam. how does this compare to a saatva pocket coil bed? Saatva offer coil on coil comfort which does not actually do anything for you. The extra height they boast comes from this (which is basically an old cheap coil system at the base so they can make it seem like a taller mattress) So imho, I’d probably save the money and get a Hamuq. Do they guarantee you won’t get a previously used/returned bed. I would hate that and any risk of bedbugs. Trying to decide between Douglas, Hamuq, Endy – Leaning towards Douglas because it’s the least expensive with the longest trial. I’m generally comfortable on any mattress. Should I go for the least expensive? Is there any advantage of paying more for the Hamuq? Longest trial doesn’t mean it will last you the longest. Comparing douglas to hamuq i’d worry most about the longevity of the two. You might save a hundred dollars today, but if the mattress lasts 4 years instead of 10, well thats not value. 15 gauge canadian steel pocket coils have stood the test of time. I can’t say the same for the douglas. If you sleep hot, or don’t like the sinking feeling, i wouldn’t go with an all foam mattress. But it really is personal preference at the end of the day. If your generally comfortable with any mattress, pick one that you believe will last the longest. That way you get the most value. I am switching from a Queen bed to a Double, so I need a box spring, too. Does Hamuq sell them? OR – any suggestions would be helpful. I just bought a slated bed frame for mine. Any platform will do. Box springs are an old marketing gimmick use to get more money out of you. They are literally a box that the mattress sits on to make the mattress higher. Has anyone ever returned a Hamuq mattress?